Low cost European airline Ryanair claims it will succeed in bringing 4-5 million tourists to Israel annually. Deputy CEO and COO of Ryanair said that the low-cost European airline will succeed in bringing millions of tourists to Israel. “We’ll bring 4-5 million tourists a year to Israel. Ryanair has boosted the number of tourists in 28 countries in Europe and the world, and we intend to this in Israel too,” said Ryanair deputy CEO and COO Michael Cawley, according to Globes. Cawley and Ryanair director of route development Kate Sherry held separate meetings with Minister of Tourism Uzi Landau and Minister of Transport Yisrael Katz. Landau told the Ryanair reps that he supported the entry of major low-cost carriers like Ryanair to Israel. “I will do everything I can to promote this. 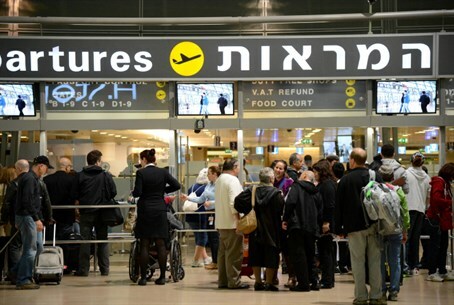 Low-cost carriers will make Israel much more accessible for Europeans, and will greatly increase the number of incoming tourists from Europe and the world,” he said, according to Globes. The airline recently announced that it is introducing flights between Israel and Poland to cater to Israeli schoolchildren visiting the former Nazi death camp at Auschwitz. "It seems that every Israeli child has to go to Poland, to go and see Auschwitz. We can help them with that," said the carrier's deputy chief executive, Howard Millar, according to the AFP news agency.